The Legacy Collection has a unique design that offers a Maple Burl Veneer over solid birch framed construction. This Vanity can be used with most vessels and comes with an undrilled top. This allows you the choice to use this piece of furniture as an accent to any room. It also has 3 drawers for lot's of storage. 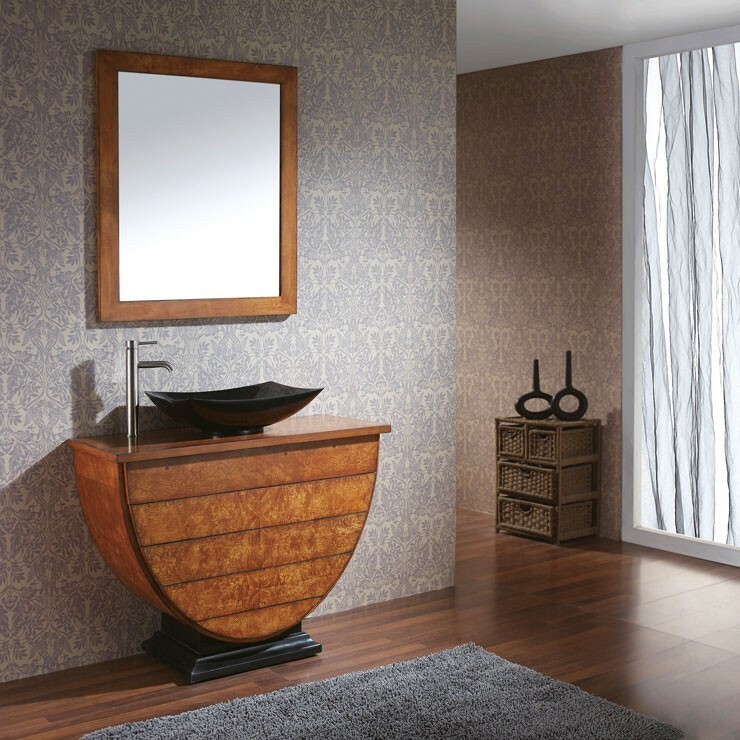 Coordinating Mirror completes the set and can be hung vertical or horizontal to suit your needs.